Land prices in South Korea rose nearly 4.6 percent in 2018 from a year earlier, the fastest clip in 12 years, government data showed Thursday. The country's land prices increased 4.58 percent on-year last year, compared with a 3.88 percent gain in 2017, according to the Ministry of Land, Infrastructure and Transport. The figure represents the largest on-year increase since the 5.61 percent expansion recorded in 2006. 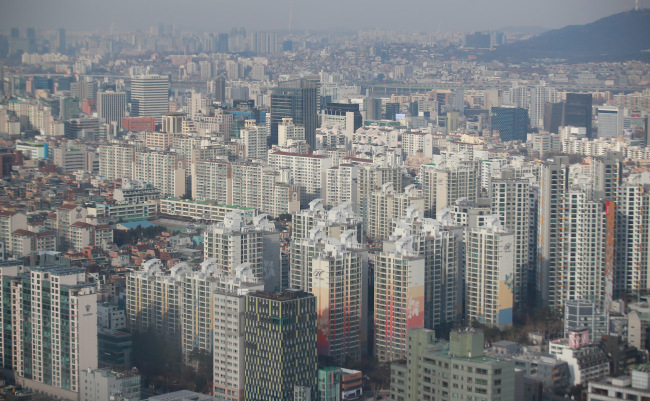 Land prices in Seoul and the adjacent Gyeonggi Province expanded 5.14 percent, up from a 3.82 percent hike in 2017, while the growth rate in the rest of the country slowed to 3.65 percent from 3.97 percent. The border county of Paju, northwest of Seoul, registered the highest on-year growth rate of 9.53 percent amid a thaw in inter-Korean relations and infrastructure projects. The administrative capital of Sejong, central South Korea, came next with 7.42 percent, followed by Seoul with 6.11 percent and Busan, South Korea's second-largest city on the southeast coast, with 5.74 percent.